Dr. Carolina Issa joined Nevada Comprehensive Pain Center in 2015, as the Director of Clinical Operations. Originally trained as a medical doctor and clinical researcher, she brings significant operational experience to the Executive Team. 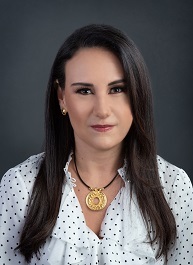 While practicing medicine, she led numerous healthcare programs, from underserved areas of rural Colombia, to health promotion programs in the United Arab Emirates. She had the opportunity to work for the Pulmonary Department at the University of Texas Health Science Center at San Antonio and at the Veterans Administration Hospital in pulmonary research. In her role, she ensures operational efficiencies, quality care delivery, and service excellence for all practice locations. She leads efforts to improve quality outcomes and clinic operations in a way that contributes to an enhanced experience for staff and patients.